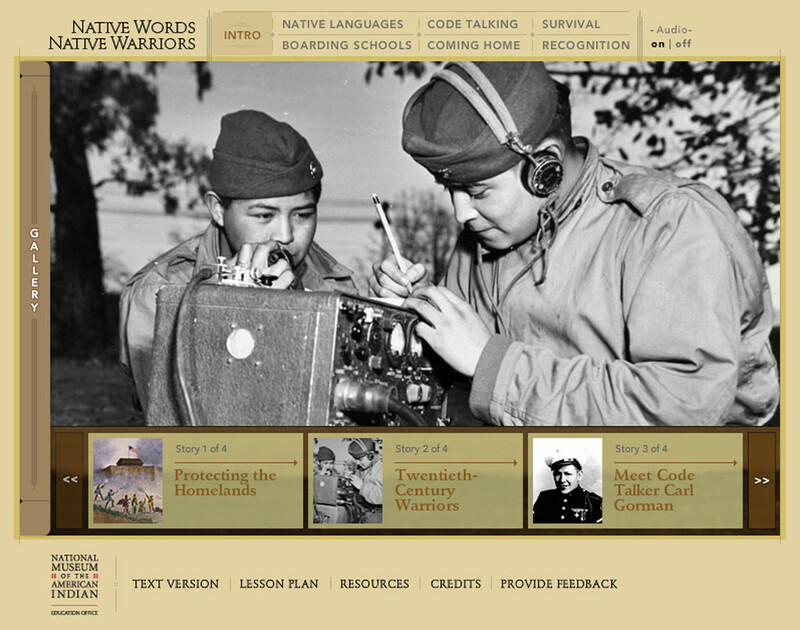 Native American "code talkers", in action. 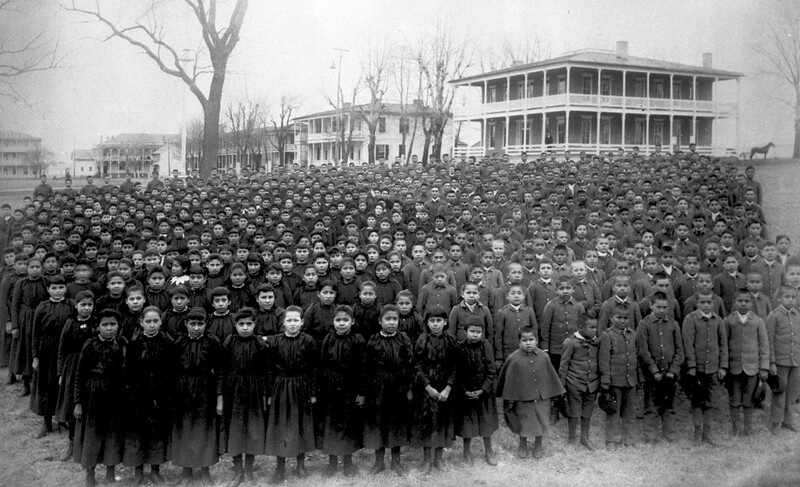 Native American children pose in front of one of the many boarding schools. 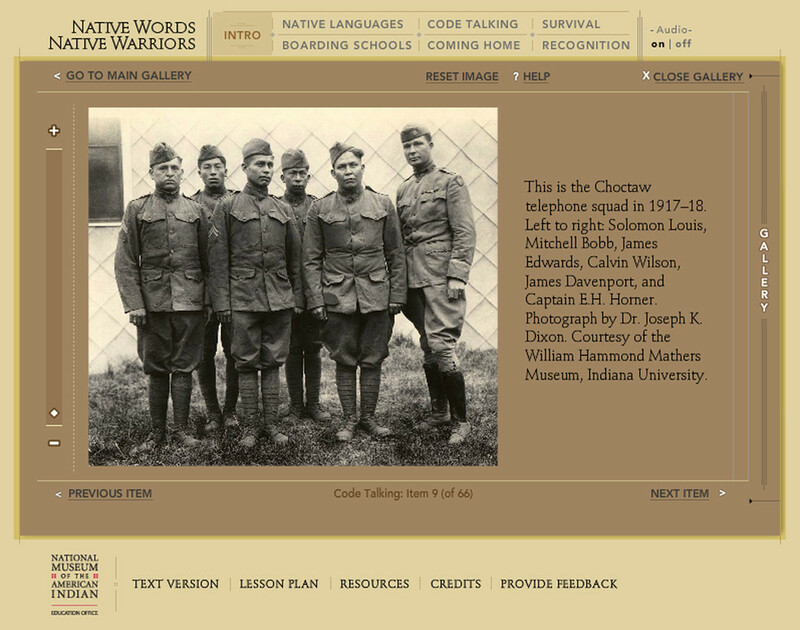 “Native Words, Native Warriors” tells the story of Native Americans (or Code Talkers) who fought during World War I and II. 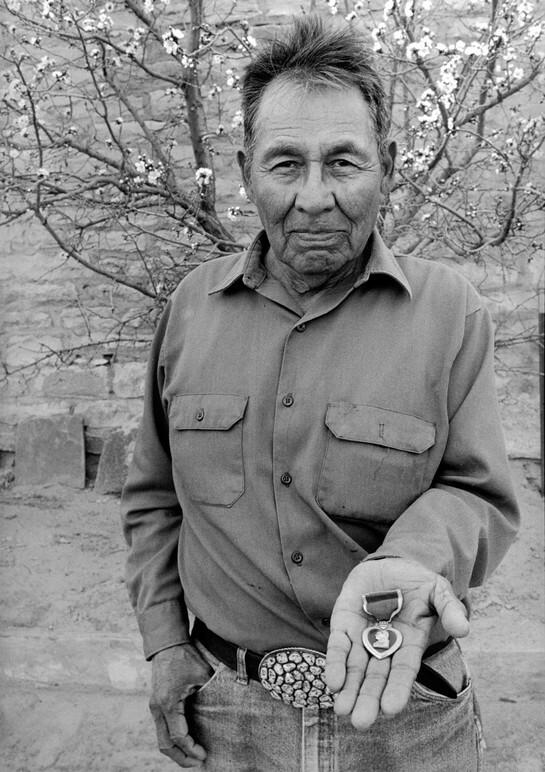 These military heroes significantly aided the United States and its allies. 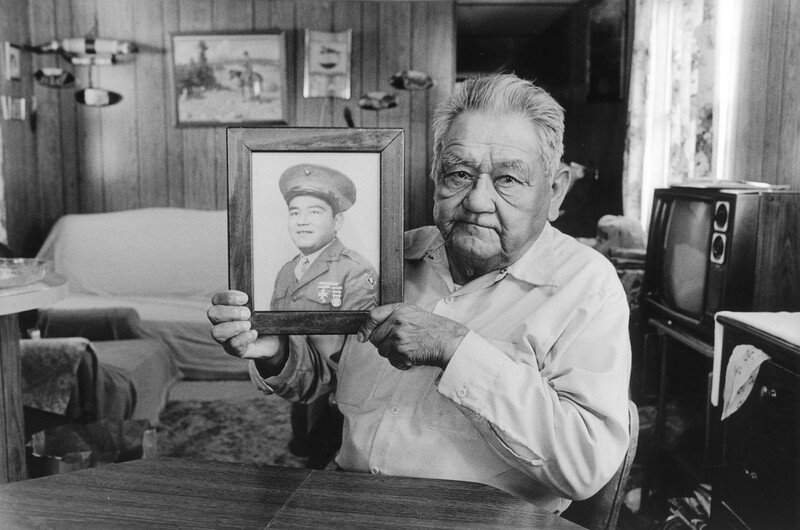 This website presents a beautiful collection of historic photographs (along with music and narration) and presents rich vignettes through the eyes of the code talkers. 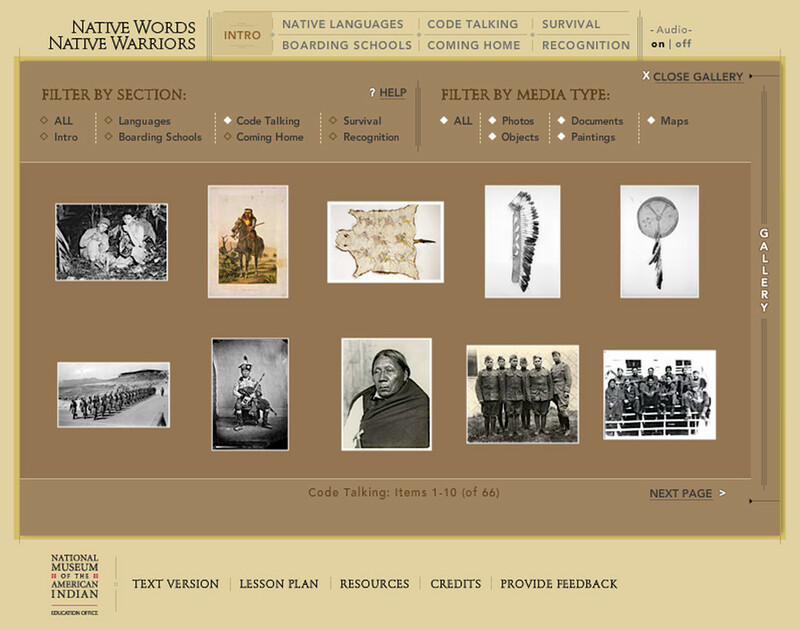 Site visitors learn how everyday tribal languages (Navajo, Comanche, and others) were used to construct and convey messages. 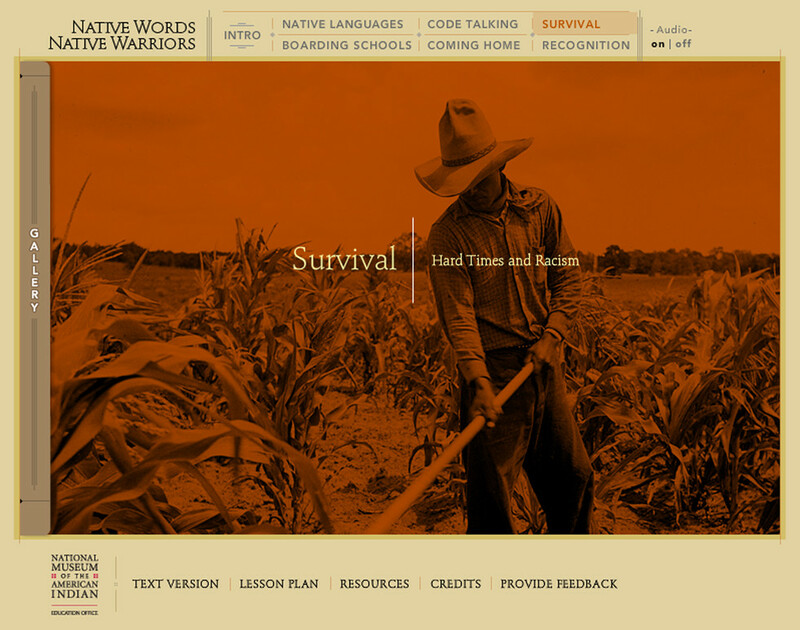 This project was created as a companion to traveling Smithsonian exhibition of the same name.